A ride on a giant woman in a bathing suit, feel like a bird from Angry Birds or take a dip in the mi-mi-mi world of Hello Kitty? At the planes from our material, it is possible! 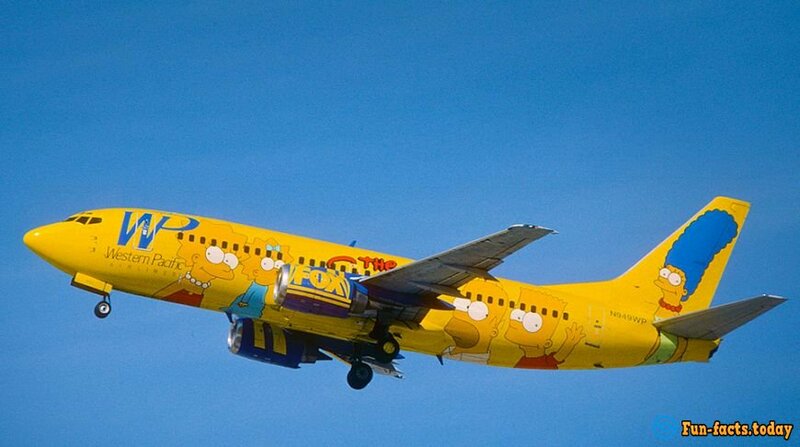 Who said that all planes are boring and monotonous? The path through the air - it's always an adventure, so why not get through fun? Japan is the leader of innovative approaches. 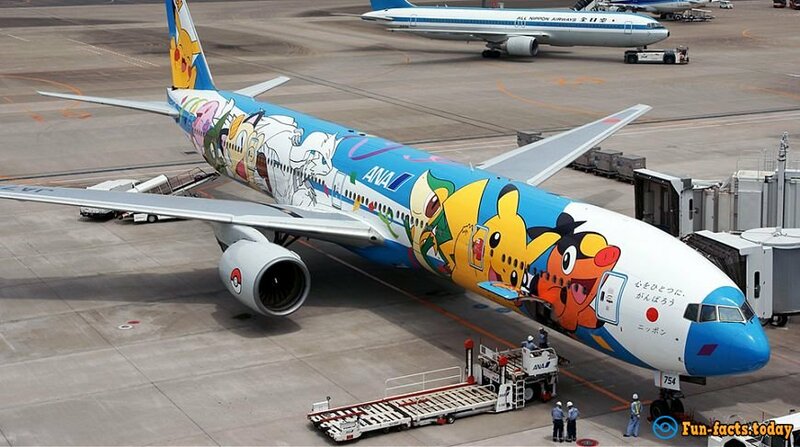 The country stood out in air transport, by decorating aircraft of international airline All Nippon Airways with Pokemon to promote their culture in other countries. Every child knows about the brutal war of evil birds to pigs-shells. And what about the flight on the liner with the image of heroes of the game? This is possible thanks to the Thai airline Nok Air. Jokes aside! England has once again proved to be a country of restrained taste and elegance. 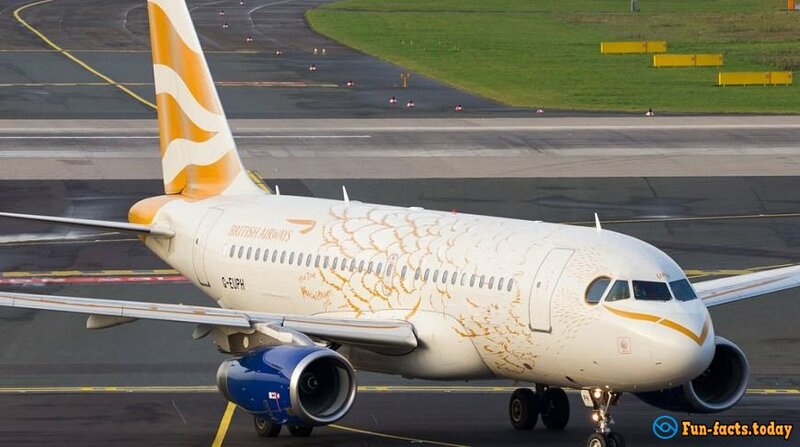 The plane styled as the golden dove of British Airways shimmers in the sun by each "feather", arguing that Britain is sophisticated in the beauty! 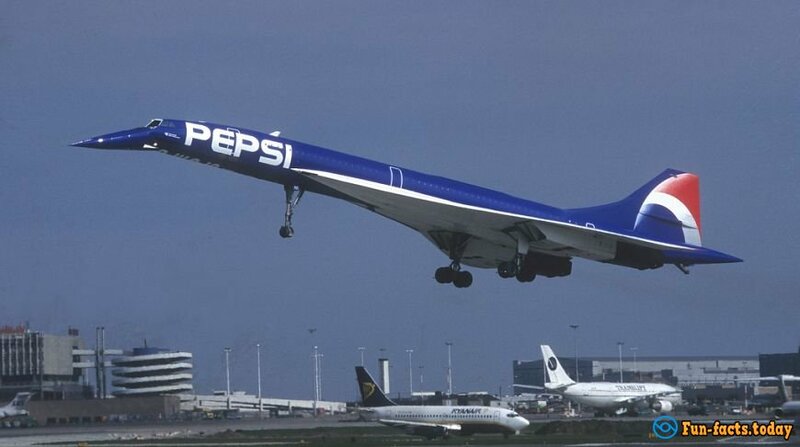 In 1996, to tell the world about its rebranding the world-renowned manufacturer of Pepsi has entrusted this task to the Air France. Sure, the corporation has made the right decision! 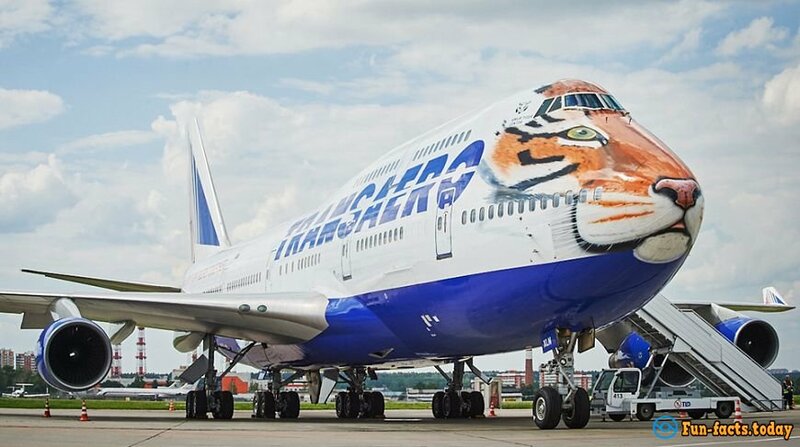 In 2015, the Russian airline Transaero has launched the unusual passenger Boeing. On which Amur tigers are depicted. This was done not only for beauty but also with good intentions. These airplanes have drawn international attention to nature conservation, the preservation of endangered species. Including tigers. Unfortunately, the airline is closed despite the good deeds. "Simpsons Already Did It" - an ordinary phrase which means that there is not anything, about what would not have joked in the legendary cartoon. The animated series has earned money for its own aircraft carrier and the American Western Pacific gladly has presented this opportunity to them. 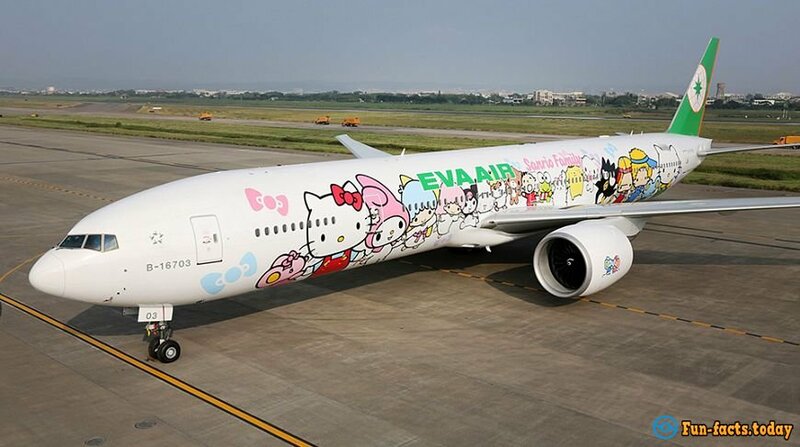 The airplanes of the Taiwan airlines EVA are a paradise for cat fans. They are not only decorated with kitty outside: interior decoration, food and even the shape of the flight attendants are in the same sickly-sweet style. 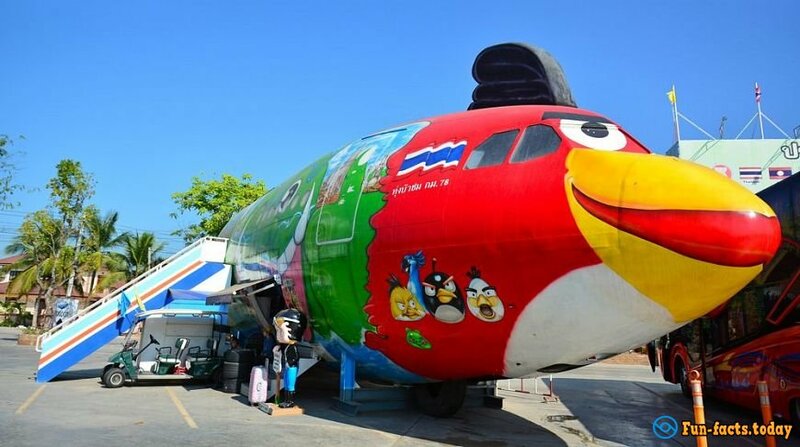 South West Airlines Airline has surprised, angered and pleased, leaving no one indifferent. The carrier has depicted a supermodel Bar Refaeli in a bikini on the plane New York - Las Vegas. The popularity of the route has immediately remarkably increased. Is it coincidence? We do not think so! The New Zealand Hobbit & Co.
New Zealand has never tired of boasting that on its territory was filmed the wonderful movie "The Hobbit". 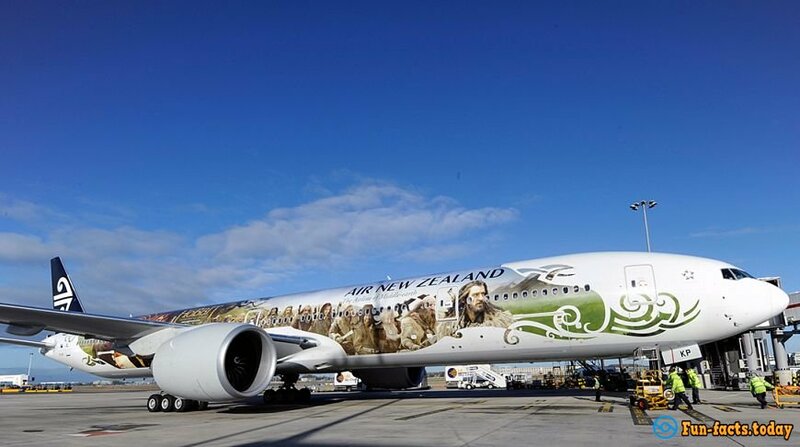 Just look at the airplanes of the New Zealand airlines on which are depicted the movie characters from that film. And for the snack is a fish. 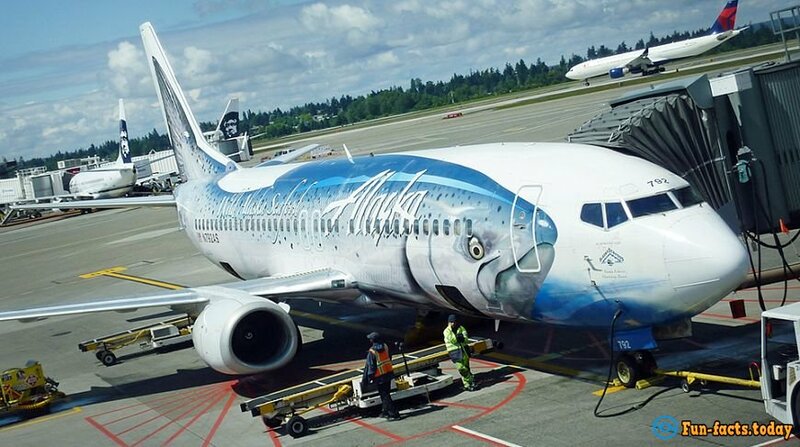 To draw attention to the fishing industry in Alaska, Alaska Air airline has disguised its Boeing 747 under the huge salmon. We think that kind of advertising is really good!